Do you ever have one of those days where you don’t want to run? Last night I only had a short, easy run on the schedule but I didn’t feel like doing it. At all. Instead of skipping I decided to turn the workout into a short, easy, FUN run. I Google’d “running scavenger hunt” and found a summer photo scavenger list on the Fairytales and Fitness blog. There are 20 items to find on the list. I decided to look for as many as possible! 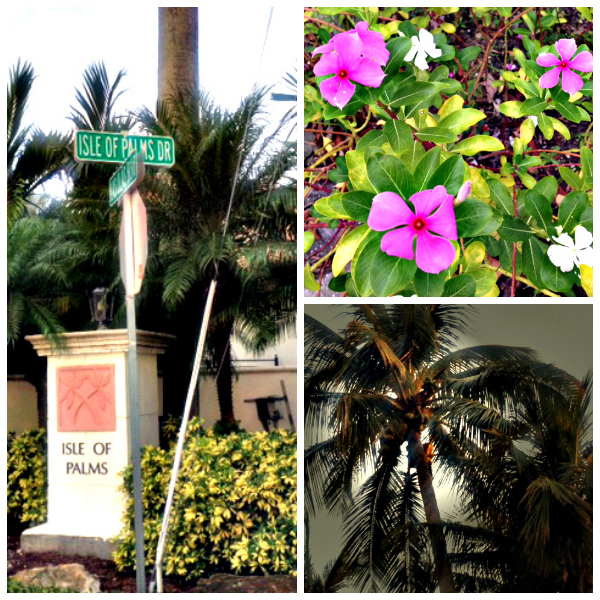 Running scavenger hunt: I found a street sign named after a tree, a purple flower (oops I think it’s pink) and a tree bearing fruit (coconuts in the palm tree). Finding a reflection wasn’t on the list, but I snapped this picture anyway because I thought the reflection on the still water was really pretty. I can’t believe how calm the water was! It looks like glass! I’m glad I stuck to the schedule and got in this run because it was the perfect opportunity to break in my new shoes. I had heard the Adrenaline GTS 14s were a bit different than the 13s but I didn’t notice any difference. Phew. Truthfully, my left achilles is still being really weird. Around mile 2 every day without fail it gets really tight but then it works itself out and feels fine… annoying! That actually sounds crazy, but I feel ready! I’ve already got the entire run planned out in my head! Help me fill in my long run playlist – what is your current (or all time) favorite song to jam out to? Next Post Marathon Training Update: 15 Miles! Good luck with the 15 miler tomorrow! Ugh unfortunately I am behind on all new music. I do like Pitbull or Kesha songs haha. Kesha songs are great to run to!! Wow that is cool, great way to add some fun to your run. 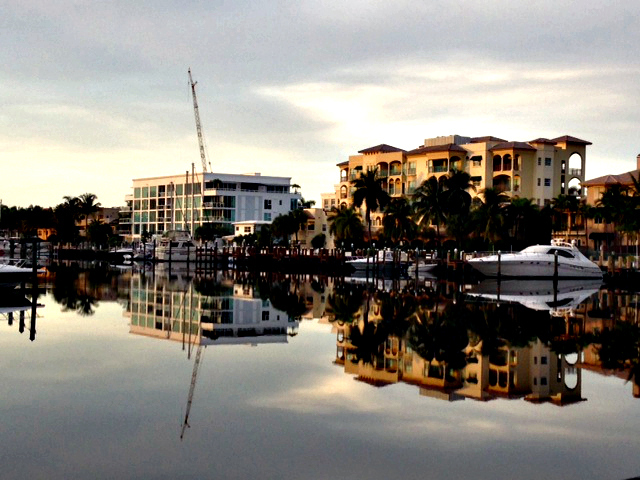 The picture of the reflection on the water was a great picture. 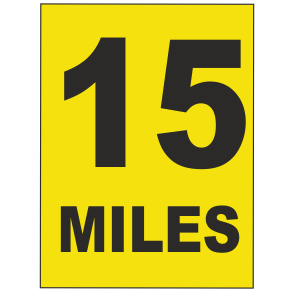 15 miles, I know you can do it. My jam has always been Party Rock Anthem by LMFAO, the beat gets me pumped and I have to start throwing some fist pumps around. I can’t wait to hear about your 15 mile run tomorrow! GO GET IT, KRISTINA!!! Thank you!!!! 🙂 It went so surprisingly well! Much better than I could have expected! Love the scavenger hunt idea! That could definitely make a long run go by faster! I’m suffering from the “I don’t wanna run” thing right now. 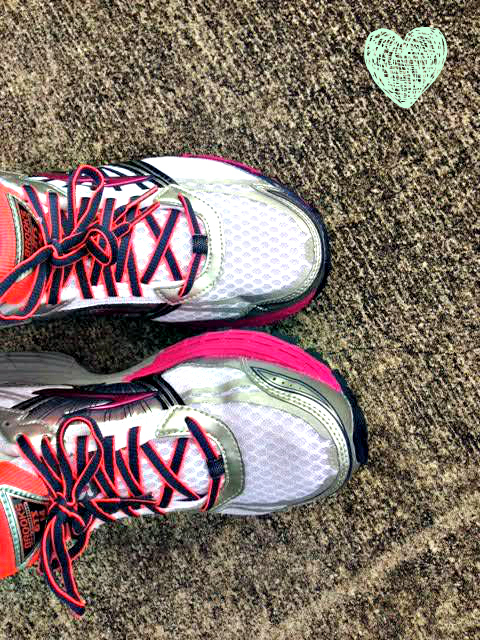 My marathon training plan starts next week (with a killer speed workout, blah!!) and I can barely crank out an easy 2-3 miler this week. I think it’s all about the mindset. The two or three mile runs right now are probably only feeling tough because you know that’s all you need to do. Once you start marathon training your mind will flip the switch and you’ll be ready to go! I know some days, even now in the middle of marathon training, I can barely crank out a 2 or 4 mile run but on long run day as long as my mind is ready I can get it done. You will do great, plus you have all that experience from your previous marathon training cycles to help guide you this time! You crack me up, I love the scavenger hunt idea lol I will borrow this for sure! The reflection picture is very cool 🙂 15 miles?! you got this 🙂 have you been icing the achilles at all? That stinks it tightens up, just take it easy until it feels loose. I love old 80’s and 90’s dance music, sometimes I put a few old ones on repeat because they make me run faster…Robin S – Show Me Love and Livin’Joy – Dreamer. Anther good oldie is the Cover Girls- Show me. I love Show Me Love!!! Great song! That running scavenger hunt sounds like a great idea – I will have to mention it to my boys!!! Love the reflection picture – awesome!!! Oh that would be so fun for you guys to do it together! That sounds like a fun way to make the time go by. I may use that on my 9-miler tomorrow! That reflection pic is so gorgeous! Good luck on 15…you’re ready and you’ll totally rock it! It definitely helped the miles tick by fast on a day when I know each step would have felt annoying if I wasn’t distracted! Go 15!! You got this!! That reflection pic is awesome. I have a few favorites, but my two jamz are Sweet Nothing by Calvin Harris and The Pretender by the Foo Fighters. Sweet Nothing! Yes, that’s a good one! !